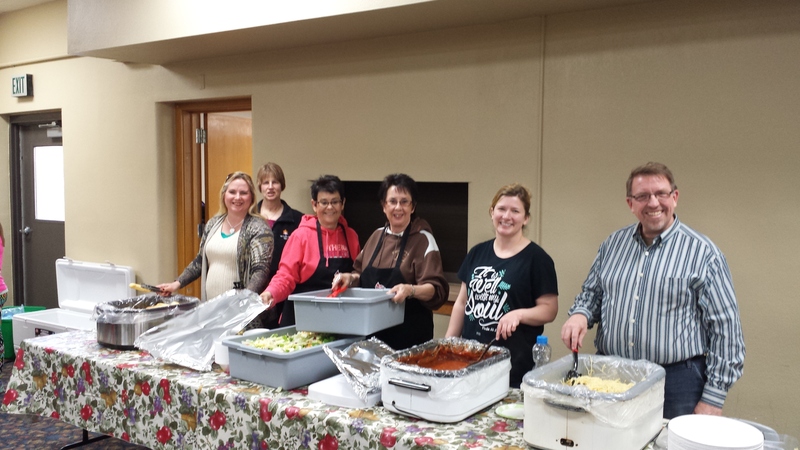 Spring 2015 Spaghetti Dinner was enjoyed by 196 people! Pictures tell a story don’t they? Many happy faces and lots of great volunteers (23) if my count is correct. 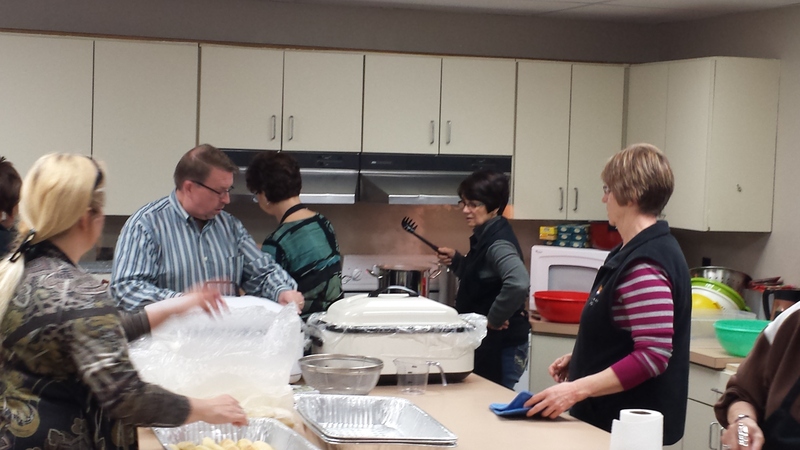 Great kitchen help, servers, and cleanup crew. We cannot do it alone. Thank you each one that gave of your time and energy! 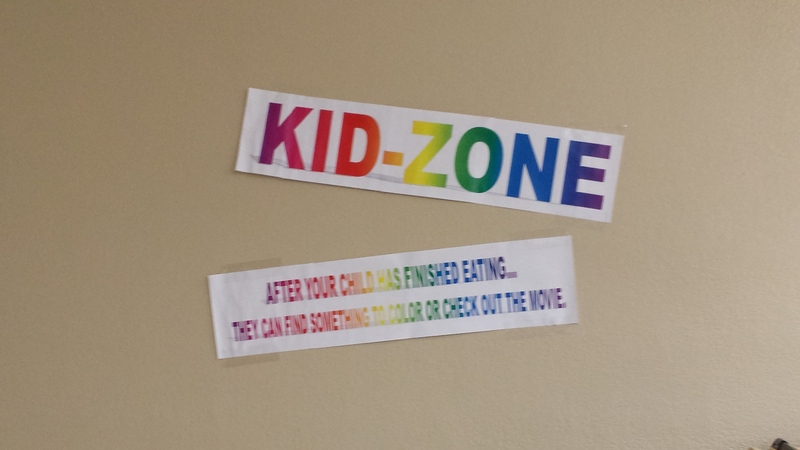 We had a Kid-zone so the kids had somewhere to hang out after eating..coloring books and a movie! 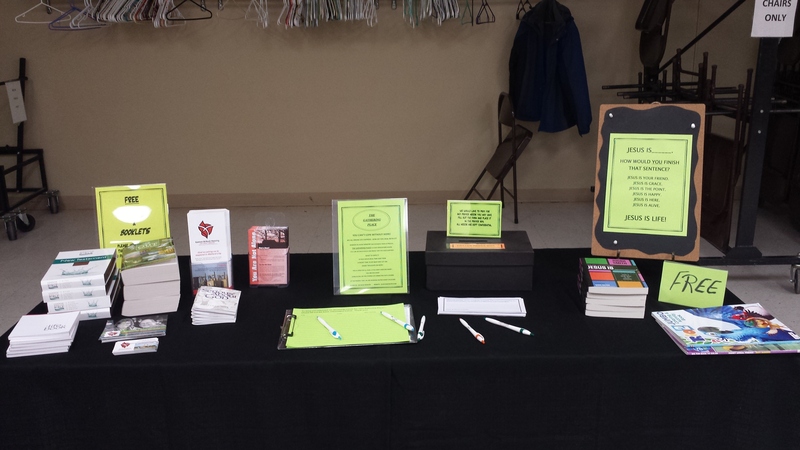 Also, we had a table with bibles, devotionals and other ministry material to help encourage those in attendance, also, a signup for our new small group. It was a terrific evening and many new connections and friendships were formed. 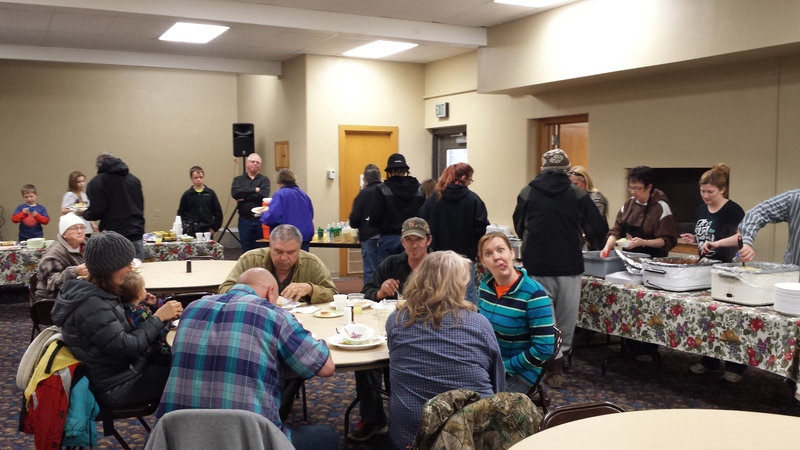 Encouraging and loving people…that’s our mission! I believe the mission was accomplished….now some rest…reload and get back after it! !